Facets are everywhere these days but finding objects for your home can sometimes be a challenge since many a faceted find is also an expensive one of a kind work of art. 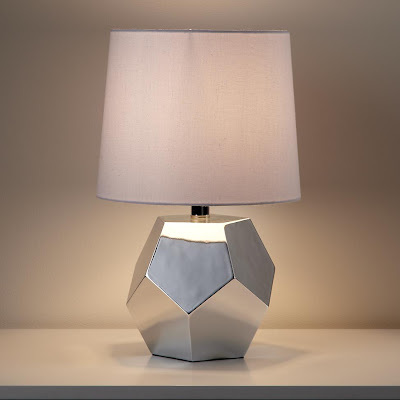 So we couldn't pass up this lamp named Between a Rock and a Lamp Base from Land of Nod that is both artistic and affordable. The base comes in gold, silver, or white and there are many options for lamp shade colors.